With connected devices penetrating nearly every aspect of our personal lives, it’s just a matter of time before these technologies make their way into the workplace and revolutionize how business is done. 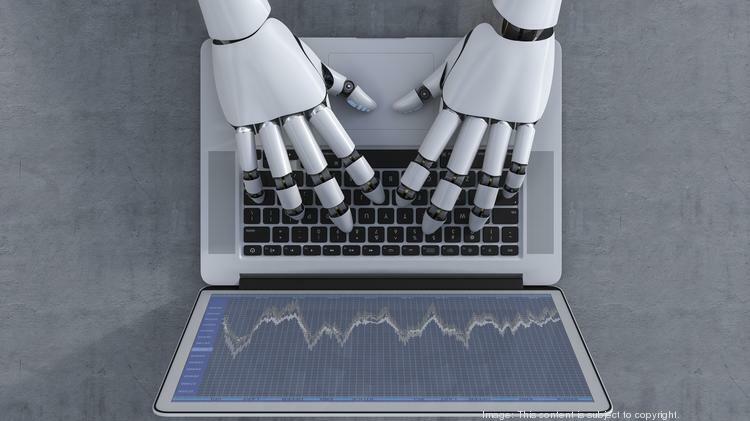 American City Business Journals discusses the impact that smart cities, IoT, robotics, VR and more will have on the workplace. The 8 pathways of technological advancement to apply preactive and anticipatory thinking to stay on the cutting edge of technological transformation. You may want to reference that post to prime your thoughts before digging into this article. How will each of these technology trends affect my business? How could I apply one of these technology trends to innovate my life and business? With digital virtual assistants, personal trackers and connected devices penetrating just about every aspect of our personal lives, it is only a matter of time before these technologies and more revolutionize the future of work and workplaces. Take Amazon’s cashierless grocery store in Seattle or Sidewalk Labs’ smart cityplanned for Toronto. These ambitious projects will revolutionize how we think, live and work. Already, many progressive employers are beginning to strategically leverage breakthrough technologies to improve the lives of their teams, drive greater productivity, and improve the bottom line. There’s no doubt technology is changing how our employees (as consumers) think and act. Here are three key trends set to become more prevalent in the workplace and in the design of future workspaces. According to data from Intel, the Internet of Things (IoT) will be comprised of 200 billion “smart” devices by the year 2020. That equates to 26 “smart” devices per person on the planet. Of those devices, 40 percent will be owned by businesses, meaning the potential for the IoT in the workplace is immense. Smart offices can help improve productivity and employee satisfaction. Alexa for business allows employees to use their voices to execute routine and complex tasks in the workplace. Technologies like these will become more commonplace in our workplaces, ultimately allowing employees and teams to focus less on the routine (or distractions) and more on driving results for companies and clients. Beyond introducing new efficiencies in the workplace, the IoT can also help companies spur innovation. Those organizations seeking to introduce products that thrive in a connected world must be conducting product research and design in connected workplace environments. Honeywell stands out in this space with its investment in a new leading-edge software center that also serves as the HQ for its Home and Building Technologies business in Atlanta. No doubt other companies will follow suit, like medical technology companies creating “smart surgical rooms” in their workplaces and education companies launching “smart classroom” spaces for product development. The possibilities are endless. Americans spend about 37 billion hours each year waiting in line. Admittedly, the majority of this waiting may not be connected to work activities, but it still translates to major efficiency losses for people, business and society. Biometrics may be a key technology in helping companies achieve new levels of efficiency. With market research forecasting the mobile biometrics marketgrowing at a CAGR of more than 79 percent over the next four years and impacting everything from airports, to office entry, password security, financial transactions, or just unlocking your iPhone — there’s no doubt biometrics have the potential to ensure efficient workplace operations and enhance security. Currently, biometrics are mostly used for simple tasks like launching apps on phones or unlocking laptops. Some companies like Alibaba in China are having their employees enter their office building via facial recognition as opposed to swiping ID cards. Imagine the future potential of this technology in the workplace — securing or unlocking files without a password database; having computers inform employees it’s time for a break to reduce eye strain or stress; or automatically adjusting different aspects of the office (lighting, temperature, etc.) based on who’s occupying it to strengthen and enhance employee’s workplace experience. Business will also soon improve operations by expanding robotics beyond manufacturing and into workplace and customer environments. For example, Delaware North has a Wellbot deliver wellness items to guests and the Bank of Tokyo-Mitsubishi has its robot Nao greet customers. Coupled with biometrics and machine learning, these robots will be able to anticipate needs before they ever become needs. While there will be great debate about which jobs robots can or can’t do, they definitely have the ability to help employees be more efficient. Need to hustle to a meeting at the same moment you need to drop off a package to another department? Robots can handle inter-office deliveries. Tired of always printing something and then learning the printer has a paper jam? Robots can be programmed to automatically fix these issues when they happen. From the reception desk to company warehouses, robots will significantly impact our workplaces in the years ahead, and it’s important for companies to be thinking about that now. Everyone knows having a strong employee feedback loop is vital to designing successful workplaces. However, too often — whether through surveys or interviews — employees tell you what they think you want to hear or what they believe they want. This can lead to environments or processes that ultimately aren’t maximized or adopted. Designers have used pilot programs or 3D sketches to help circumvent this problem with some success. But virtual reality takes the discovery process to another level by embedding employees right into proposed environments and documenting their experiences prior to significant workplace investments. This leads to efficient decision-making, stronger cost control and ultimately higher engagement and satisfaction once office spaces are complete. While VR will take design to new heights, aggregating and analyzing the data from smart devices and biometrics will allow designers and companies to continuously improve and innovate work spaces for their unique workforce. Relying on this data, designers and companies can use “heat maps” to justify investments, experimentation, or improve decision-making, which ends up creating the most positive change for employees and organizations. There’s no doubt technology trends are changing how our employees (as consumers) think and act every day. Accommodating those changes into our workplaces is good for business. Understanding these trends will help companies invest wisely to create agile workplaces that positively impact talent acquisition and retention, productivity and innovation, and overall profitability. Source Author: Michael Bonomo directs CannonDesign’s global workplace practice and co-leads the firm’s corporate/commercial market.